What is mental stimulation and why is it important for dogs? We are so glad that you are asking us about this important topic! The four main focuses of your dog’s overall health are physical, emotional, behavioral, and mental health. The last two are actually closely linked to each other. Mental stimulation is simply about putting your dog’s full mental ability and potential to use. When a pup is properly stimulated they are happy and content. This means that they are less likely to have extra pent-up energy, and therefore, they are less likely to have behavioral issues like anxiety, aggression, and exhibiting destructive behavior. 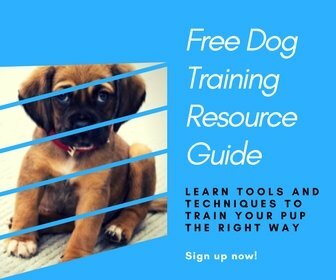 We will take a look at some signs that your dog is lacking mental stimulation and give you a list of things you can do to help mentally stimulate your dog and improve their behavior and well-being. Now that you know the importance of a dog being properly stimulated, it is time to be observant of your pooch so that you will know whether or not this is an issue for you and your dog. Frequent misbehavior in the house such as chewing on the couch or chewing up long curtains. If you have realized that your dog is showing some or all the signs of lack of sufficient mental stimulation, don’t worry! You’re still a great doggy parent, and because you have taken the time to read up on this topic, we know that you truly want the best for your precious pooch. Playing with other friendly dogs is a great way to mentally and physically stimulate your pup! You can interact with a number of dogs at the same time if you play a game of fetch or tag. A group of dogs can be split into groups to play one on one games of tug of war with each other as well. When it comes to playdates we highly recommend that all of the pups have their core vaccines before meeting other pups at a person’s house or at the dog park. Many dogs who are unvaccinated can and do catch kennel cough. Kennel cough is easily treated, but it also spreads to other unvaccinated dogs very quickly. Also, a puppy being socialized with other dogs before receiving all of his or her distemper vaccine (DHPP) could lead to your puppy catching parvovirus, which is a potentially fatal illness. Once your pup is up to date on all their vaccines, it is absolutely fine for him or her to socialize at a dog park, doggy day camp, and other locations. A change of location is also mentally stimulating, simply because it’s not your dog’s “usual,” and this encourages him or her to sniff around more and process what’s going on in the new location. After a day of exercise, exploration, and sniffing, your pooch is very likely to be ready for a nice long nap at home! There are various different kinds of puzzle toys available that are mentally stimulating for pups! This kind of toy will make your dog work to use his or her mind in a challenging way. Puzzle bowls are great for dogs who are quick eaters by nature or who eat out of boredom. They are stimulating because they make your dog think about how to successfully get to their food. It is also a time-consuming activity that will ensure that your pup will properly chew their food. Another benefit to this bowl is the fact that your pup will have less of an upset stomach after eating due to overeating or eating too quickly. When you work with your dog by teaching him or her new commands they are learning and bonding with you at the same time. Learning new tricks forces dogs to listen and process what’s being said and they have to remember and associate the words with specific actions. Your dog’s mind is being engaged while learning new tricks and the fact that you’re spending time with him or her makes it a worthwhile activity in the mind of your pup! We highly recommend that you reward your precious pup with a delicious treat that is light in calories, such as a Charlie Bear treat after the correct behavior has been demonstrated. Chewable bones such as Nylabones are great for stimulating a dog! Nylabones are usually not meant to be eaten, only chewed on. These bones will truly entertain your precious pooch for hours! Another great thing about these bones is that they come in different flavors and have different textures to keep your pup interested. Teaching your dog how to sniff out and find hidden things is a talent that has to be trained and developed. Sniffing for objects requires a deeper usage of the brain and the olfactory senses. It’s also a fun activity for your pup to sniff out edible dog truffles or treats or to find their favorite toys. Introducing your pup to new places every now and then is a great way to add surprise and excitement to his or her life. It’s great to have a basic daily schedule, but it does help to throw in a few extra activities in the month to keep your dog mentally stimulated! Dogs love to explore new environments. You can try exploring new parks, going hiking, spending a day at the beach, taking a different walking route, adding in an additional walk, going on short car rides together, and bringing your pup to socialize with friends and family members. Sometimes we really just need to do something different in life, and so does your pup! Your dog seems happy and healthy overall. We really hope that this has helped you to determine whether or not your precious pup needs more mental stimulation. Since mental stimulation plays a big role in the health and happiness of a dog, we strongly encourage you to give some of these fun mental stimulation ideas a try! We also highly recommend that you consult with your veterinarian if you still notice behavioral issues despite stimulating your dog both mentally and physically. P.S. Help a friend learn how to mentally stimulate their dog by pinning this!